Jesus has asked His followers to be prepared to tell others about what He has done for all of us. He wants Christians to go into the world and make disciples. Bible StoryBoards was written to help us do that. As we take the time to intentionally live a life of love among the lost world around us, God will open doors for us to share His story with others as we go about our days. But we need to be watching for those opportunities and we need to be prepared to share the story. 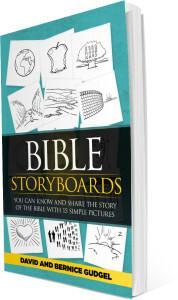 Bible StoryBoards has taken the bottom line story of the Bible and divided it into 15 StoryBoards. 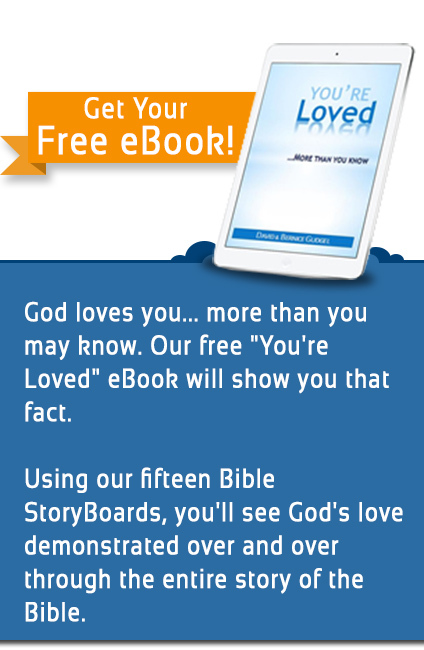 With our 15 simple pictures, you can easily talk someone through the simple story of God and man that the Bible tells. It’s the main thing that God wants everyone to know. It’s our hope that Bible StoryBoards will help you know and share the amazing story of God and man that the Bible tells. Buy the book by clicking on the picture below. Next:Are You Building Relationships So You Can Share the Story of the Bible?